Don’t stop bay-leafing in this sharp and bitter flavored herb. In slow cooking, bay leaves add unparalleled flavor, fragrance, and elegance to recipes. When a leaf or two are added to soups, stocks, and stews— there’s no denying that something kind of special happens. Keep in mind that fresh bay leaves tend to be more pungent than dried ones. If a recipe calls for dried bay leaves you can use fresh ones, but just use fewer of them to get the same impact. Bay leaves are best used at the very beginning of a slow cooked meal. Make sure that you remove before serving. Sold at the peak of freshness. Our bay leaves are grown and sold to be used right away for the best flavor. Your nose and taste buds won’t bay-leaf it. Bay Leaves are happiest inside their package, hanging out in your refrigerator drawer. Dry fresh bay leaves for year-round use. They’ll keep in an airtight container or jar for a year or more. To aid digestion, add two or three dried leaves, a squeeze of lemon and a teaspoon of honey to a mug of just-boiled water. Drink after a meal. 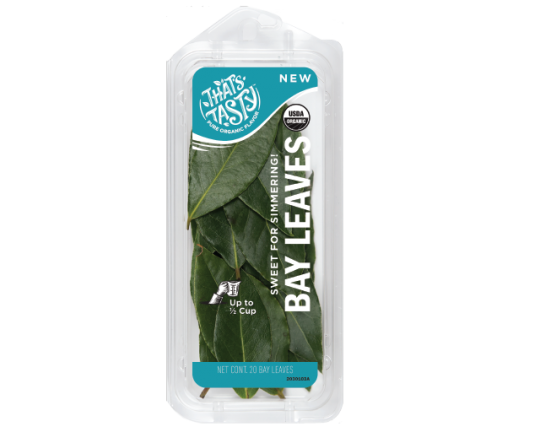 The best way to hold onto bay leaves’ potency in flavor is to store the leaves in the freezer, where they will stay fresh for years. Freeze them individually on a cookie sheet then put them in a freezer-safe zip-top bag when they are frozen. It’s easy to just grab one if they are frozen individually.